Ever have one of those extremely long weeks? 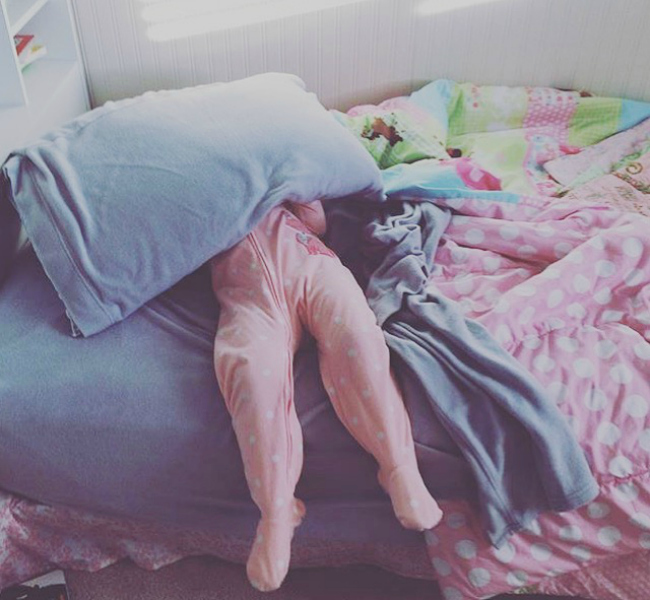 Between a sick and extremely cranky baby, a toddler on constant meltdown, not being able to be present for my beautiful grandma in Ireland's last days before reaching heaven, and an extreme lack of sleep, exercise and healthy food, this week I've been feeling more discouraged than encouraged. More down than up. I don't know about you, but sometimes I'm sailing along merrily for a few miles before I notice the boat's filling with water. There are a few things that help me when I'm starting to sink. 1. Sleep. *Sleep should just be #1 on all lists I ever make. 2. Time quiet before God & His word. 3. Time with my people. And going outside has been pretty fantastic lately. 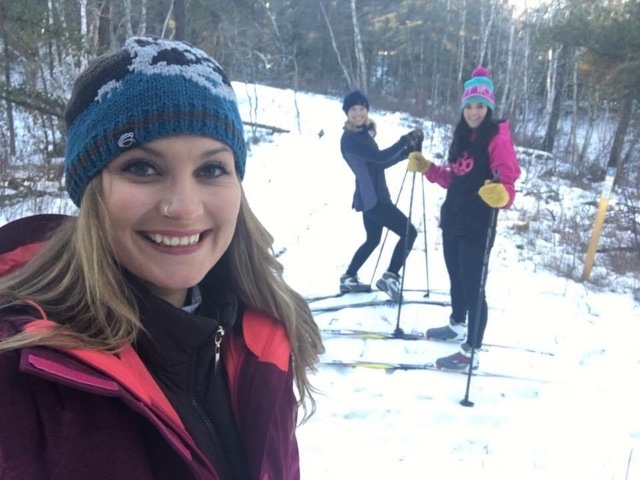 I hit the road with two of my kindred spirits and we headed north a few kilometres into Nisbet Forest for a little cross-country skiing. I've had skis for about five years now, but I am certainly no expert. 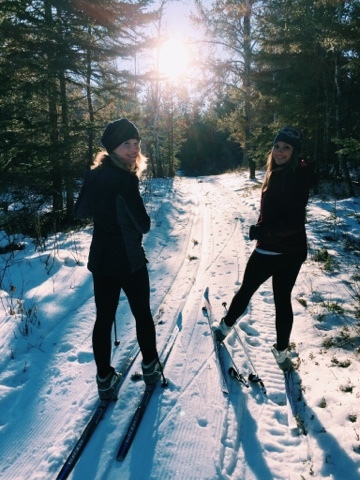 Now that my sister and one of my best friends also have cross-country skis?? "How awesome are Eb's Trails? So awesome." ... "I know, right?" Nothing cheers me up like watching two of the people I love most completely wipe out over and over for two hours straight. I wholeheartedly recommend this therapy. My Granny would approve. She laughed her way through 93 years. I feel like the whole "choose your winter" theme is really hitting a nerve with other gals. Turns out I'm not the only one. Yay, community!! 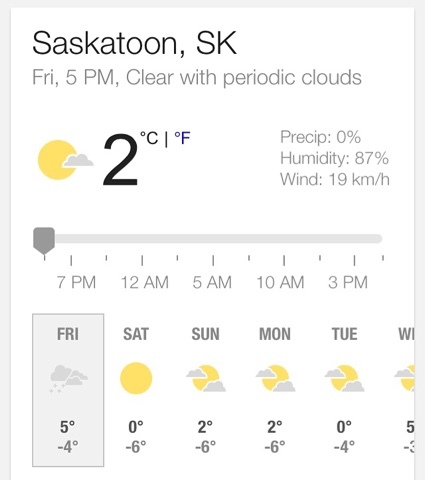 Are you a frazzled female lovely lady in the Saskatoon area who might want to get out and choose your winter with some skiing? 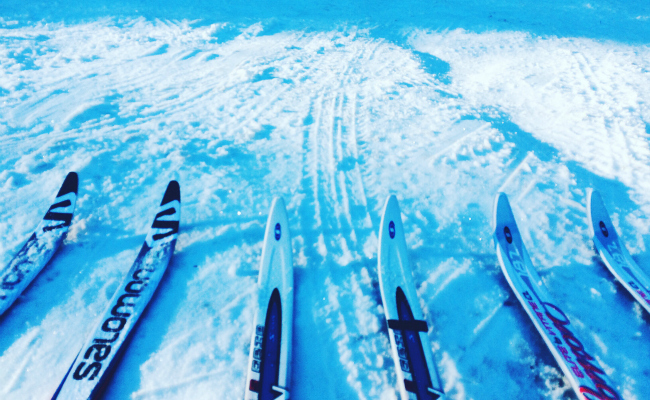 There are a couple of great outdoor stores that rent cross-country skis in Saskatoon. I'd recommend Eb's Source for Adventure. 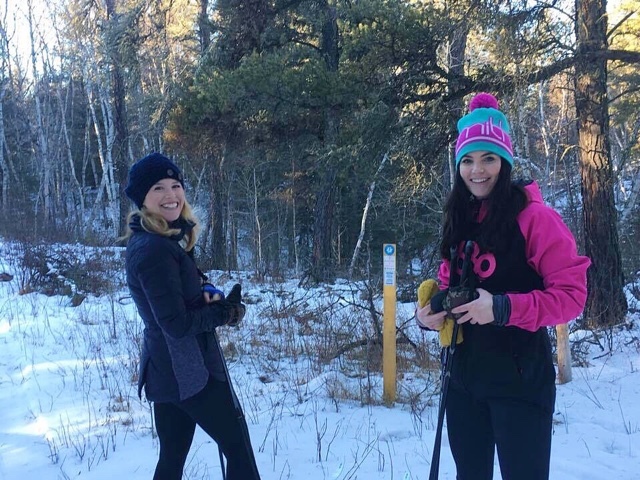 The Saskatoon Nordic Ski Club has some lessons coming up (which we should probably look into, OW), and the City of Saskatoon has a pretty great list of groomed trails. Tried it? Love it? Want some skis? Eb's is great to deal with or Kijiji is excellent. My sister scored some great skis on there this year in her tiny little size 6 feet. 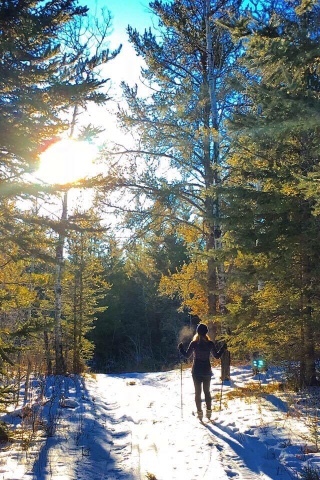 We're going to be trying to get out to enjoy as many trails as possible this winter, probably on a Saturday morning or a Sunday afternoon a few times a month in the Saskatoon area. Boy, did I ever not see myself wishing for that this Christmas. 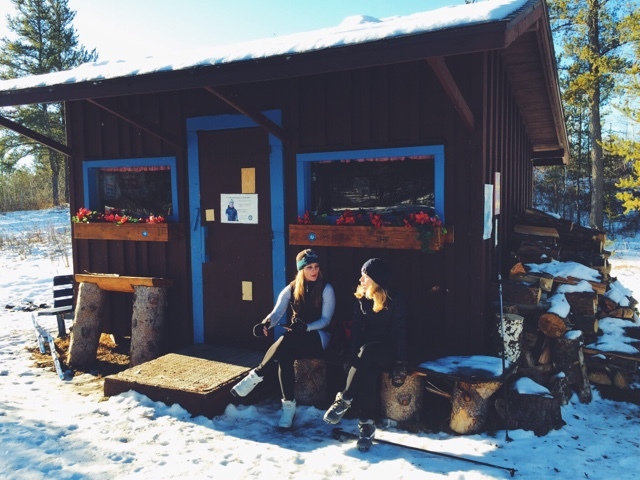 Even if skiing's not for you, let us in on your secrets. 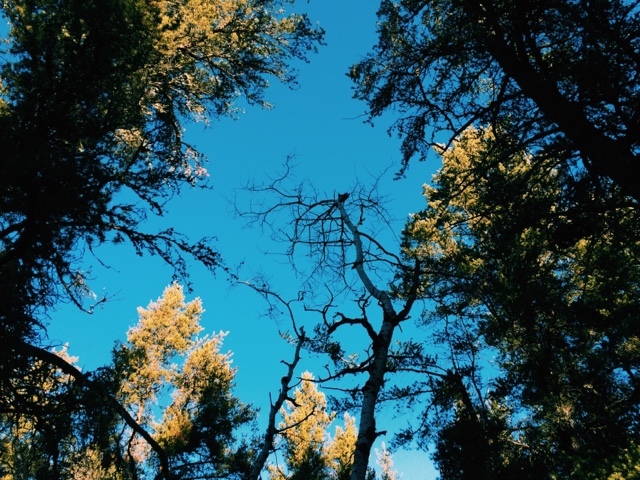 How do you choose winter? It's like you wrote this post just for me :) Can't wait to join all y'all! Umm, YEAH! It was just for you. Hooray! Can't wait either. We need snow! Let's talk about it Tuesday. LOVE this and I just need to saw how freaking great you look post-baby! like wtf?! unfair!! 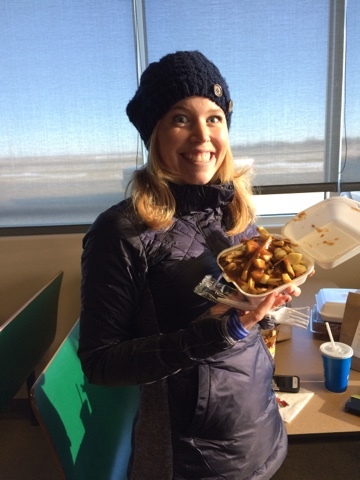 Maybe it's because you're out skiing while i"m home eating poutine! lol But how about that poutine? So good. It does not COME OFF EASILY, does it? This week, I've apparently been trying to sabotage all my hard work, so by Christmas I may be rolling down hills. Mmmm poutine. Always poutine. Je t'aime, poutine.